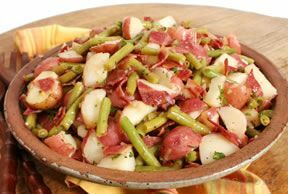 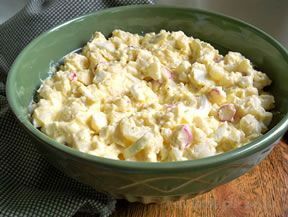 A recipe from our Potato Salad Collection will make the perfect side dish for your next barbecue, picnic, cookout, or potluck. 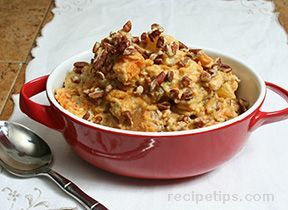 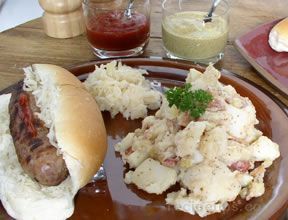 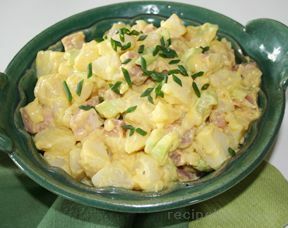 You will find a potato salad recipe made with sweet potatoes, a recipe with a southwest flair, and a German Potato Salad that is served warm. 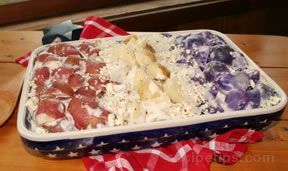 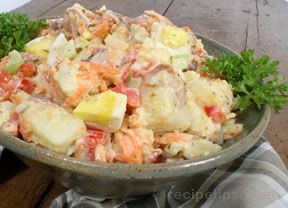 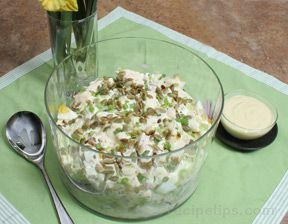 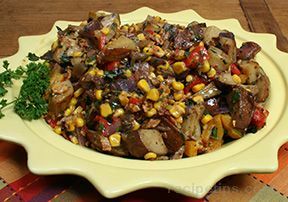 "Whether it is a Red, White, and Blue Potato Salad for your 4th of July get together or a Sweet Potato Salad to serve during the Thanksgiving holiday, we have just the right one for your special occasion. 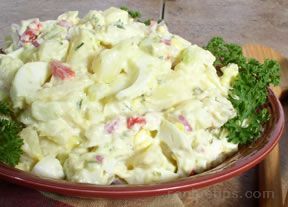 Our site also provides you with information to help you select the best kind of potato to use for your potato salad. 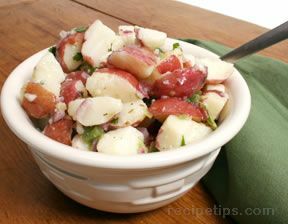 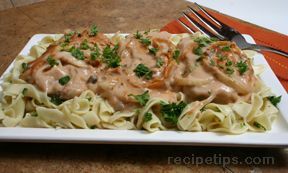 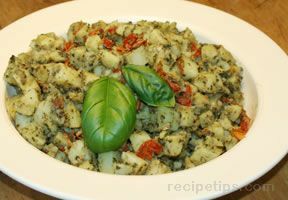 We will also show you how to prepare and cook your potatoes so they are perfect for your salad." 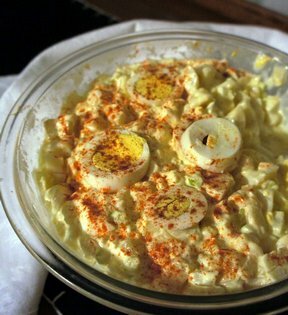 "In searching for a potato salad recipe for the 4th of July I found this group of recipes. 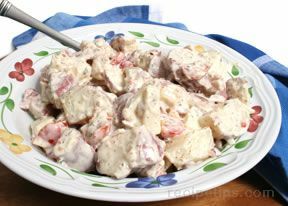 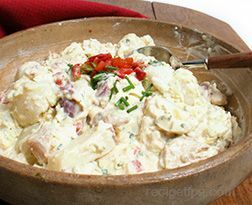 They all look pretty interesting and the Red, White, and Blue Potato Salad recipe would be perfect for the 4th of July, but the Grilled Chicken Potato Salad recipe looks too good to pass up. 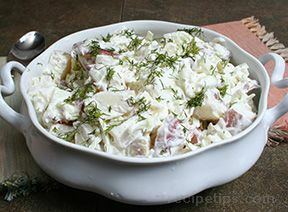 I am going to try that one."